January 18, 2014 January 18, 2014 EmeraldStudioPhoto8 Comments on What do You Think of This Image? My friend Melissa and I braved the cold for as long as we could this morning, down on the Waterfront looking out over Downtown Portland, among other areas. It took about an hour and a half before our fingertips couldn’t handle it anymore, even while wearing gloves. The image above is just one I created while out on this session. What do you think? Leave feedback in the comments section, or vote in the pole below. Thanks and come back again soon. Loved this photo. I visited Portland once and it was beautiful. I would love to visit again. Thanks Knowledgemaven! 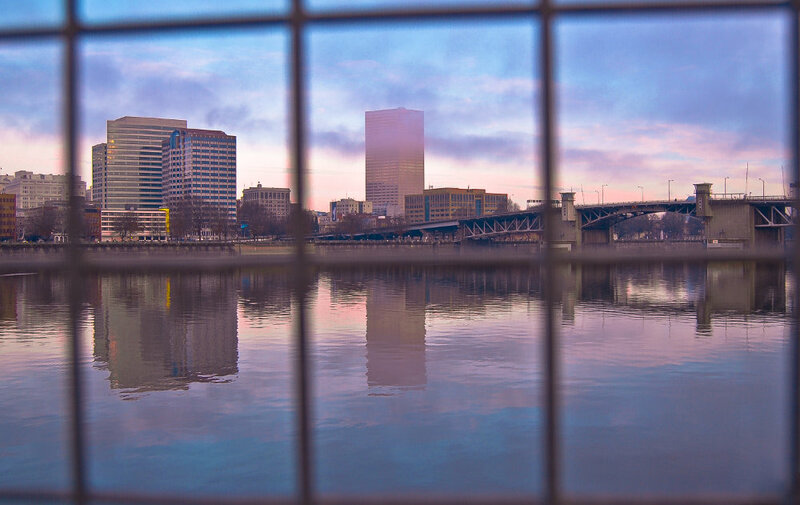 Portland’s definitely got some beauty to it, even on a cold morning! I think I visited an incredible bookstore also, Powell’s? I got lost for hours…I ate from the food trucks, ate at voodoo donuts ….hmmm lots of eating and reading. Powell’s City of Books is a favorite stop for locals and visitors! We’re lucky to have such a great book store here. And Voodoo donuts is pretty cool too! This is beautiful! I live in Southern Oregon and have never visited Portland. This makes me want to! Nice AshleyNicole! You should definitely come up to visit, it’s a very friendly city.